months. While I had things planned pretty well ahead of time and felt like I had thought through most things, we learned quite a few things along the way. We still had a fun trip, but there are certainly things that we will do differently the next time we brave a trip with our small children. If you are renting things, read reviews and find more reviews and read those too. I have rented or bought lots of things through sites like Expedia, Travelocity, and such and have always felt like I could just trust them. Well, that theory of mine was proven wrong this trip. Maybe I am the only one that didn't really know this but it but us in a tricky situation. Long story short, we ended up with a rental van that was clearly not what we that we would be getting and the company wasn't the easiest to work with. As soon as I dove into the situation a little further, most of the reviews on this company stated--stay away if at all possible! We lost a day of car rental and gladly returned the van and rented a different vehicle from a different company. It was well worth the $54. You get what you pay for and when you are traveling with your small kids in lots of traffic, I wanted something safe. If you are renting a vehicle, check to see how much it is to rent carseats as well. The thought of getting the five of us, luggage, strollers, and our kids from point A to point B seemed really overwhelming to me so we ended up renting them. I did call ahead of time to make sure they would guarantee them and to make sure they'd have the correct sizes. If you are somewhere that is going to have a lot of traffic, plan your driving times around rush hour. Because of the ages of our kids, it wasn't always the easiest to do this because we couldn't really stay at Disneyland until rush hour was over at 8 but we didn't want to leave at 2 to miss it either. Several nights though, we attempted to leave where we were at to go to supper, only to land ourselves in rush hour traffic with starving kids. Lesson learned! I packed a entire bag of snacks every morning but our kids ate them ALL every single day so by the time we were heading to supper, the bag was gone....and they were HANGRY! Looking back, we both agreed that we should have found somewhere to eat close to where we were leaving, ate, and then landed in rush hour traffic in hopes that they would now just fall asleep. If at all possible, bring your good stroller. In our case, we actually brought two jogging strollers, and I don't regret it one bit. Because we were skipping naps all day long, our kids were able to easily take a nap in their stroller while we walked. 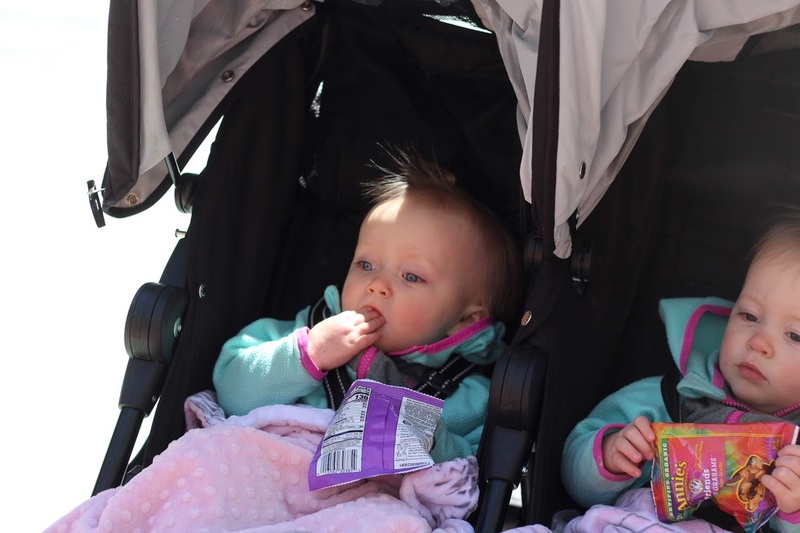 The girls took one, if not two, naps in the stroller every day! It was well worth the extra room they needed in the back of our vehicles. 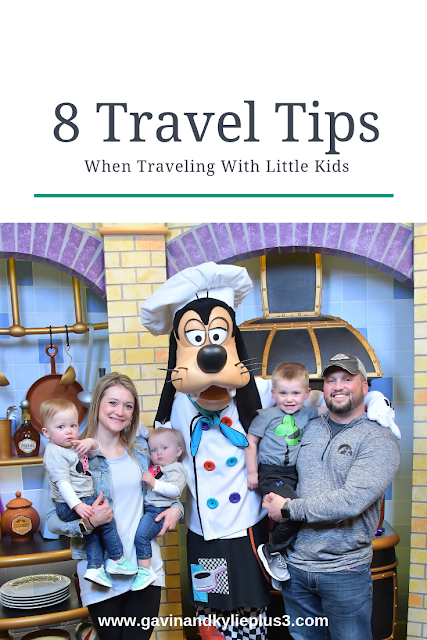 We also were able to easily contain our kids if we needed too: trekking it through the airport, security, or in ginormous parking lots at Six Flags and Disneyland. You are also able to move quickly if needed....like late to your reservation to eat breakfast with Goofy. On that note, not only make reservations well ahead of time to get optimal times, but also plan where you are going to park. We were 2 minutes away from losing our reservation for breakfast with Goofy due to a parking issue. We got separated from my brother and parents in traffic on the the way to Disneyland and where trying to find each other to park. In hindsight, we should have known way ahead of time which lot we were going to try to park in so that we could have plugged that into our GPS and headed straight there. Pay for the seats you want on your flight! In the past, pre three kids, it never really mattered where we sat and it never bothered us if we weren't right next to each other. Maybe it is because we haven't flown a ton with our kids, but I didn't think that they would separate both of us from Treyton, who is 3. On one of our flights, Gavin, Treyton, and I were all in different rows no where near each other. The people at the desk weren't overly helpful so we ended up having to just ask someone to switch with us so Treyton could sit by Gavin. On two of our flights, Gavin and I sat right across the aisle from each other which was the absolute best scenario. We weren't able to sit in the exact same section of three seats due to having two lap children but being right across from each other worked well. Spend the extra money and pay for this if possible! The aisle seats were also very helpful! They allowed us to pass kids back and forth without having to go over others. I was able to get up easily and walk around with Trynlee, who wasn't a huge fan of flying, and you don't have to bother the person sitting next to you when your 3 year old thinks going potty on the plane is cool. I also felt like the aisle seat gave me a little more room instead of being surrounded by people or nudged right up next to the window. Rent a house if at all possible instead of a hotel room. We were all able to stay together instead of being divided up into separate rooms, and it was actually cheaper than us paying for several hotel rooms for the duration of our trip. If you have small kids like us, you can still put them to bed close to their bedtime and not have to sit in silence in your hotel room at 7 o'clock. 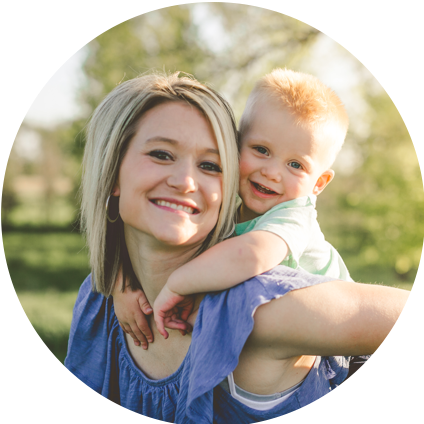 We would get our kids put to bed and had some time each night to play a game, sit in our property's hot tub, or just sit around and chat. Probably one of my favorite reasons though is that you can buy groceries and make some meals instead of eating out for every meal. I love to explore different restaurants and experience all of that but it was awesome to be able to feed our kids a decent breakfast every morning and supper on nights when we were staying in. If you are going to a theme park, spend the money on their form of a Fast Pass. We got these at Disneyland and it was worth its money in gold. We were able to ride so many more rides due to it and it was the only thing that made waiting in line bearable with small kids. We didn't have to do this at Six Flags due to it being pretty bare because of the wind but would have if the lines would have been long. Before going to a theme park, make sure you check their website or call to see what you can bring in. We were able to bring snacks and water bottles and it literally saved us hundreds of dollars. There were some limitations but we were easily able to bring our kids enough snacks to last them the entire day so were weren't paying $20 every time someone was hungry. I think that is all I have for now! If you have any other travel tips, please comment below. I would love to add them to my list for the next time we brave a trip with our kids. If you missed my recaps of our trip, click on the links below!